Meal prepping for CNY can be a lil’ ruff. 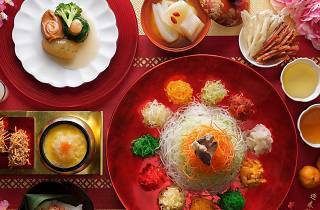 Skip the hassle and welcome the Year of the Dog by indulging in Hai Tien Lo’s Fortune menu ($168.80 per person, minimum 2 people). The menu offers traditional Cantonese delicacies such as double-boiled fish maw with sea conch and stewed whole abalone in conpoy sauce. Crazy over crispy fish skin? 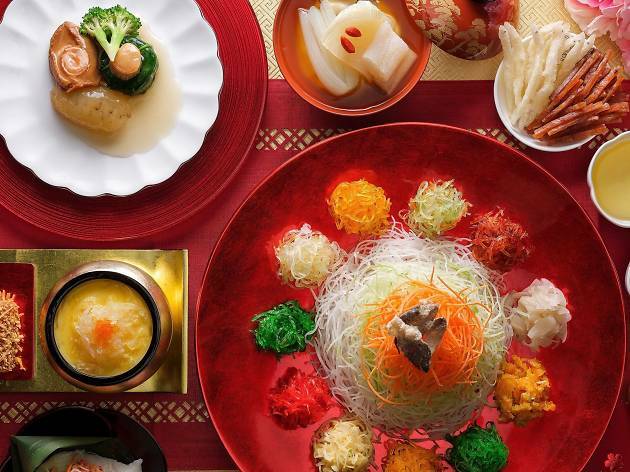 The Abundance yu sheng in the menu comes with barbecue chicken rolls, crispy silver whitebait fish and crispy fish skin.